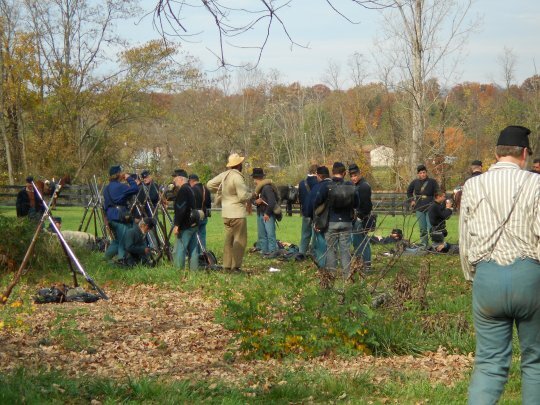 During the historical survey prior to the advancement of the site of the Battle of Unison as a national battlefield historic location, several historians remarked that the physical features mentioned in the dispatches from the officers in this engagement in 1862 were still visible. 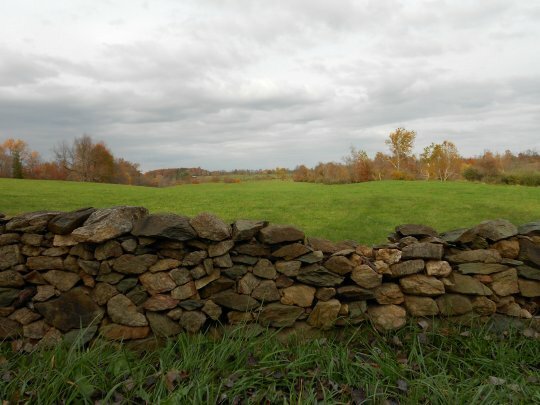 The land itself in the vicinity has not changed appreciably since the Civil War and there has been no major residential or commercial construction in the area. 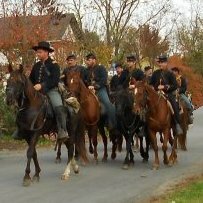 At one point, in the middle of the nineteenth century, Unison was actually the fourth largest community in Loudoun County. Today it is nowhere near the top twenty. Civilization has by-passed the village and left it stranded in that early period. Hence the lack of development and the lack of disturbance to the battlefield site since the war. The action actually started in the evening before the actual battle around Unison. 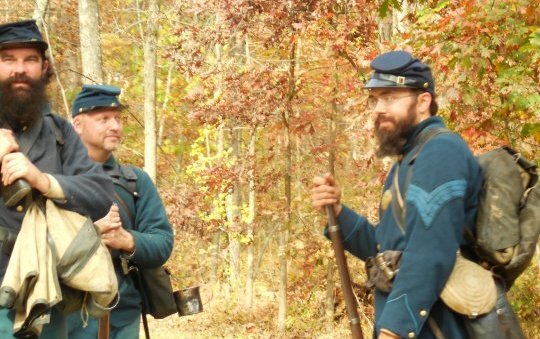 There was a skirmish along the Snickersville Pike between Aldie and Philomont, but I drove the entire distance to the Aldie junction and never saw a trace of anyone re-enacting. 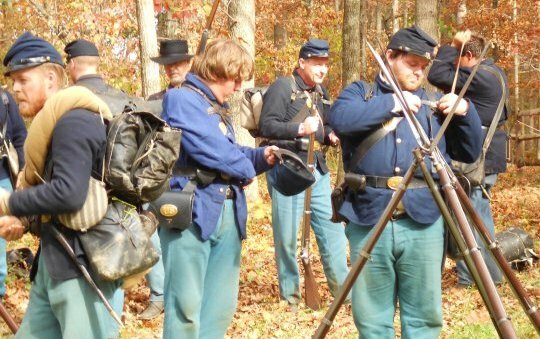 Early on Saturday morning, though, the Rebel troops came through. 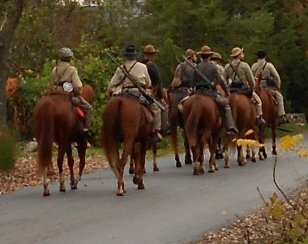 I did not see anything more than the small cavalry troop come through town but further along the roadside east of town were a few rebel infantry waiting for the action to begin. 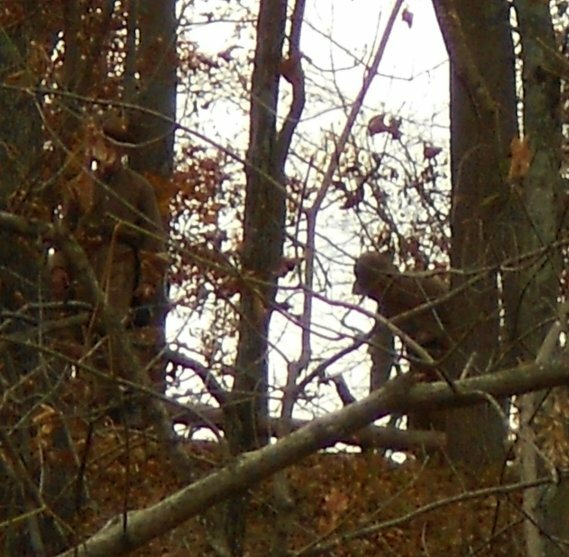 There were others hiding in the thicket across the road but I could not get a decent shot, so I continued eastward looking for the “damned Yankees”. I did not have to look too far. 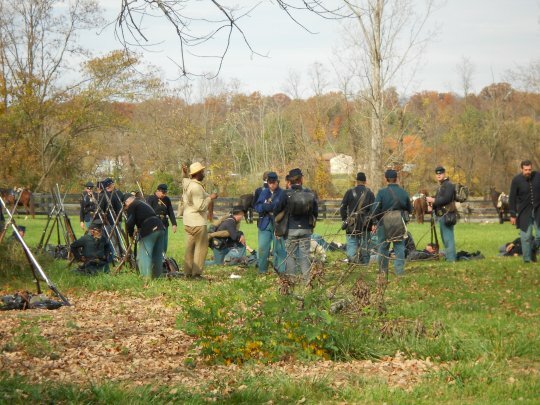 After the long march into Unison and a small flurry of interchanged shots with the Rebel pickets just to the east of the village, the Union troops stopped in the village for lunch. 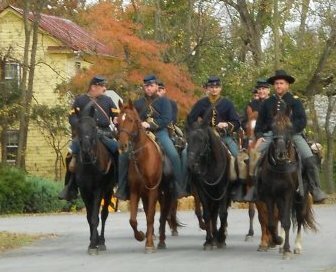 Once again packing up and moving on when the cavalry moved off. 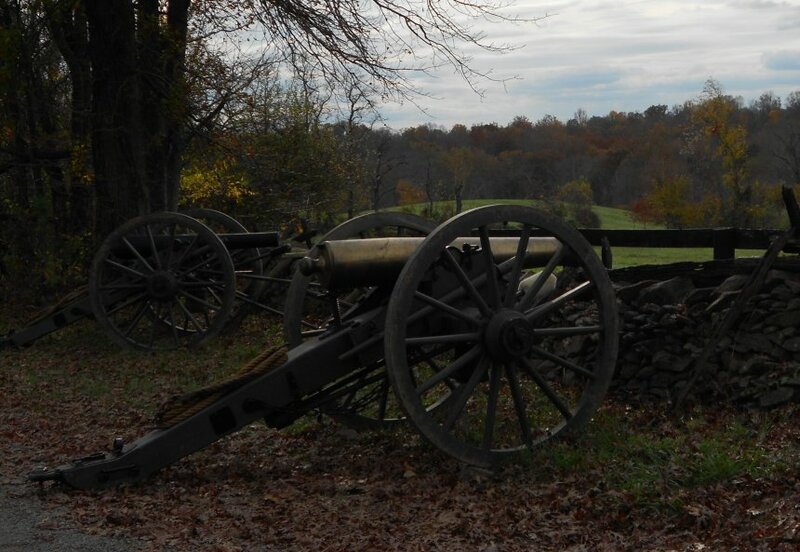 To the west of the village, the Confederates had moved the cannon into position to thwart the Union advance. 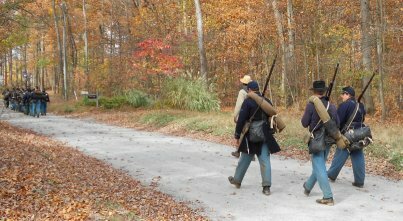 There were some Rebels hiding in the thickets in the heights by Quaker Road. And they had a pretty good view of the countryside to the east. 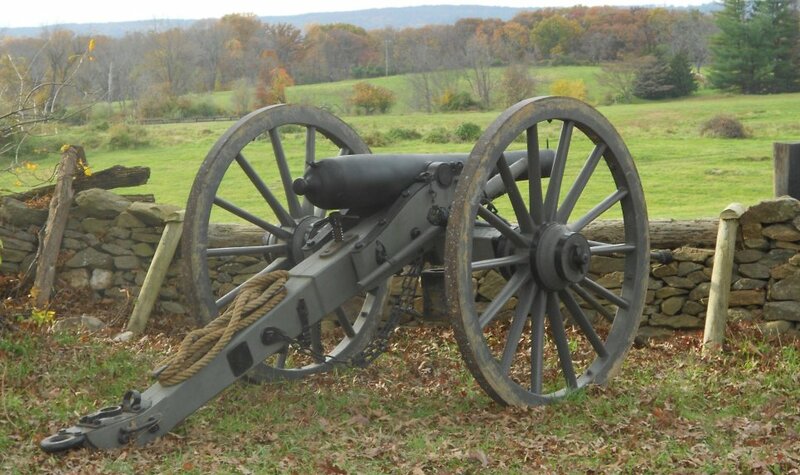 The cannon began firing shortly after the Union troops left the village and continued shaking the countryside every ninety seconds for the next two and a half hours. and the last of the stragglers made their way back through the village. 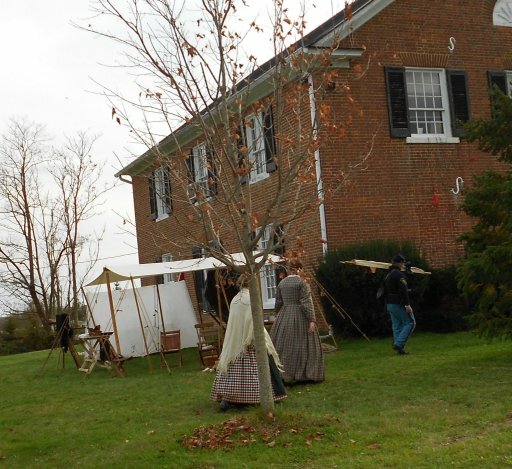 The local Methodist Church had been taken over to be used as a field hospital (though I did not see any “wounded” being taken there. There was also a photographer on hand to take pictures. 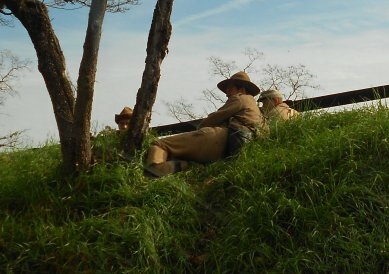 It was difficult to take pictures without a lot of the crowd in the shot and I did not interfere with the re-enactors during the action, not even to get a good shot. 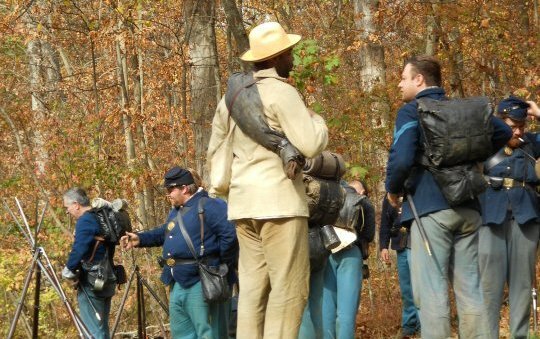 When younger, I was involved with a re-enaction and the main idea was to re-live the historic moment, not dodge around the modern sight-seers. Perhaps there are other people who posted those pictures. The biggest surprise to me was the cannon. I had no idea we would be feeling the concussion wave before the sound reached us. Nor did I think it would last as long as it did. It was an enjoyable time for everyone concerned, I hope. 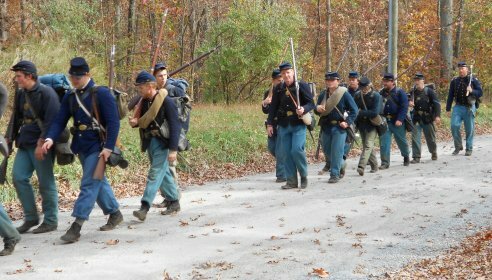 I got home from work this evening and immediately grabbed my camera and went out to get some shots of the preliminary skirmishes between the forces set to participate in tomorrow’s re-enactment of the Battle of Unison. The data I had was not detailed with where the troops were going to be camping but I had a notion where the skirmishes were supposed to be. 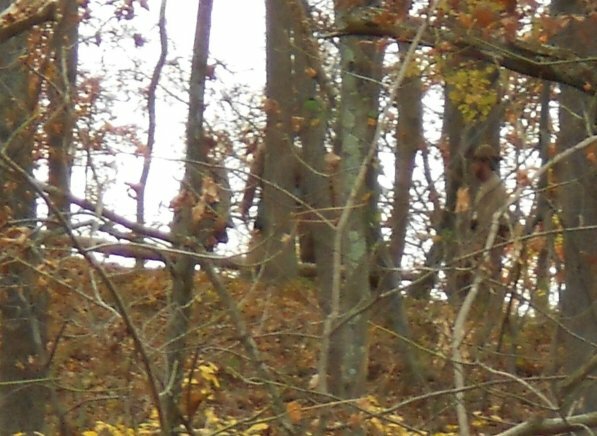 And I was so hoping to get at least a couple of shots – something at least showing the soldiers at their campsites… or anything! So I suppose I will have to wait until tomorrow to get any pictures. 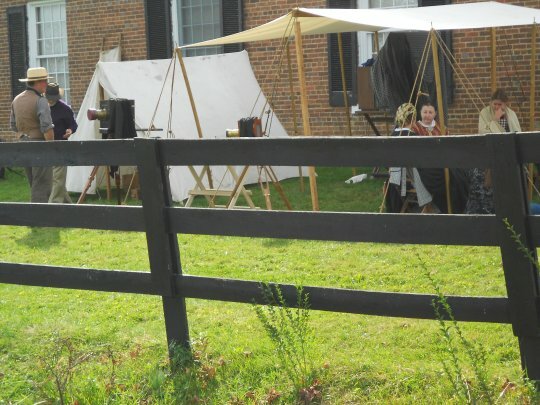 Unless, of course, the predicted storm (Frankenweiner 2012) has frightened all the re-enactors away. Most historians have ignored the implications of this small event. But it was rather large in its results. 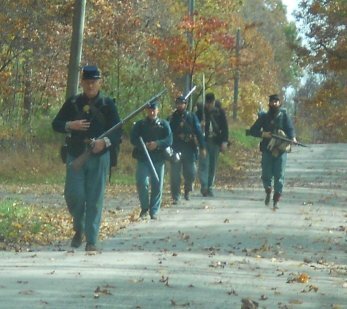 The Confederate advance into Maryland ended with the monumental Battle of Antietam, known as the bloodiest day of the war. 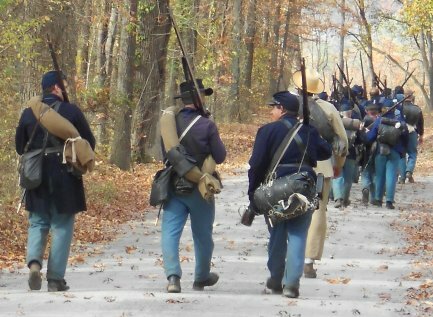 Lee withdrew his forces toward Harper’s Ferry and the Shenandoah Valley while McClellan remained at Sharpsburg resting his troops. Lincoln had to remind the General that he seemed to be closer to Richmond than Lee, so maybe he should race to the Southern Capital. 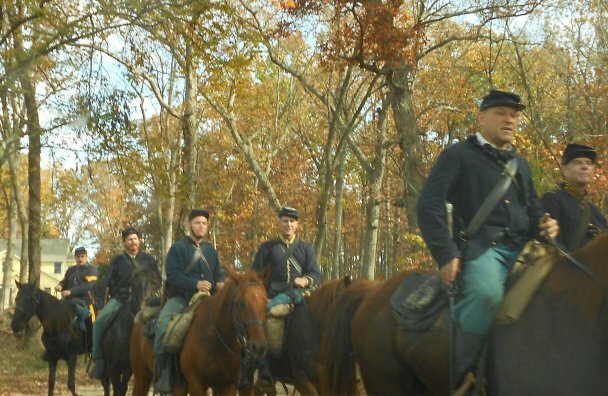 When the Federal troops moved off in that direction, Lee sent J.E.B. Stuart to cut them off. 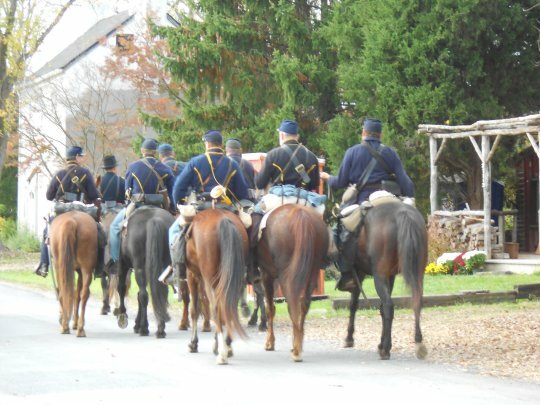 With his smaller force, Stuart engaged the Union troops at Mountville and, remaining engaged, drew them westward from Aldie and Philomont into the small village of Unison. 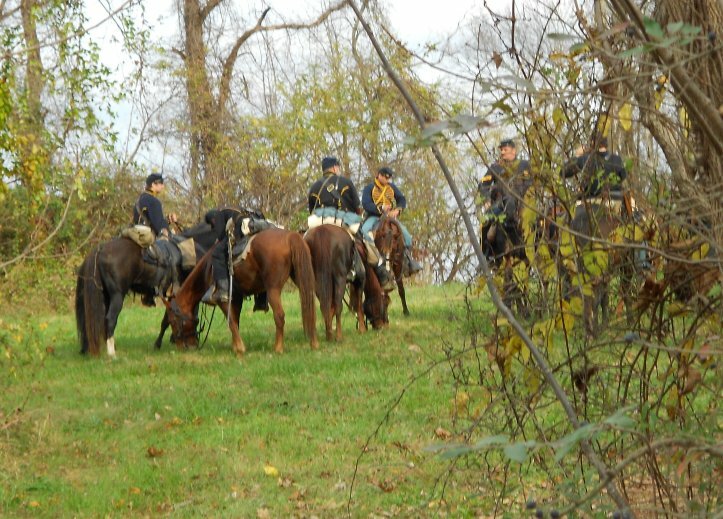 Here he was able to keep them occupied while Lee moved the bulk of his army to the Southeast and into a position to defend their capital. 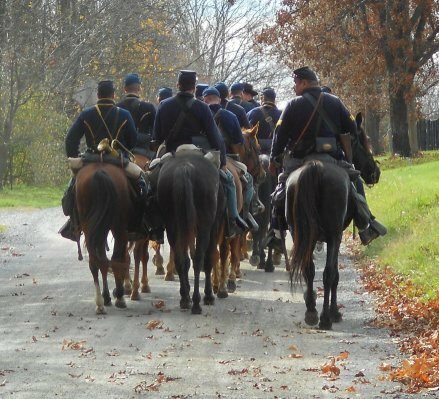 After three days of fighting, the arrival of the remainder of the Union army made it imperative that Stuart leave the vicinity and he was forced to withdraw to Upperville, abandoning the wounded. The Unison Methodist Church, as well as many of the local homes, were turned into hospitals for the wounded from both side. 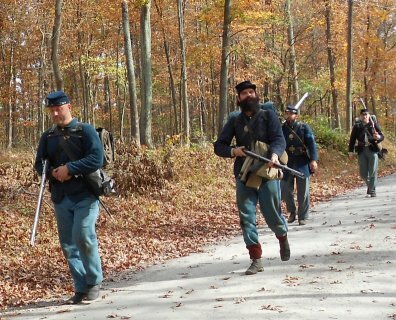 The Union troops were pleased that they had driven the Rebs away. They thought it was a worthwhile adventure. 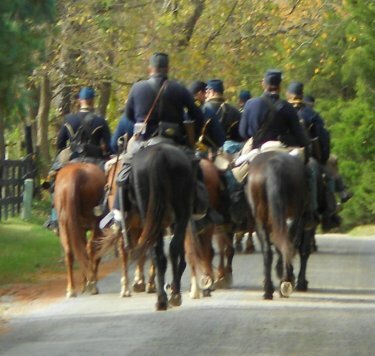 Lincoln saw the events a little more darkly and removed General McClellan from his command. 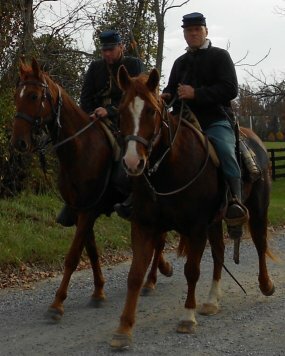 Apparently, the small engagement seemed to show the Union as the victors even though they lost more men and horses than the Rebs. But they also lost their General and the chance to end the war then and there. 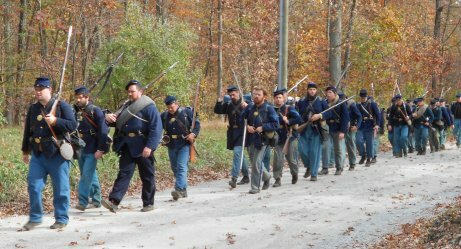 There will be an historic reenactment of the Battle by several units this year (the event’s sesquicentennial – i.e. 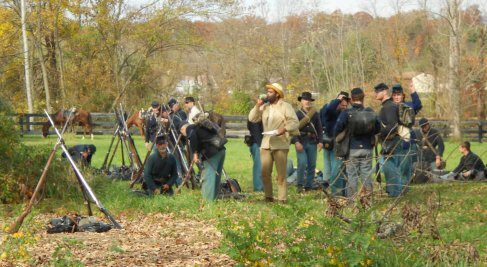 150th anniversary) but occurring on the 26th through the 28th of October, on the weekend, rather than on the 31st through Nov. 2nd. Since I live in the area, it promises to be an interesting weekend!! 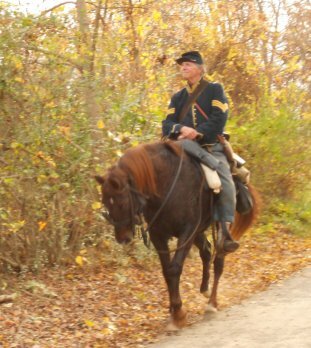 There was a scout and aide to General Stuart who was introduced to Loudoun County during this battle. He loved the area so much and saw some interesting possibilities there. 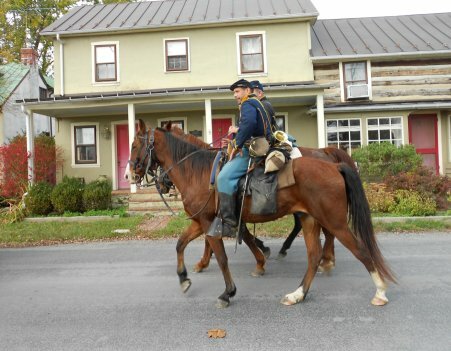 He later discussed it with General Lee and was given the commission to form a group of partisan rangers. 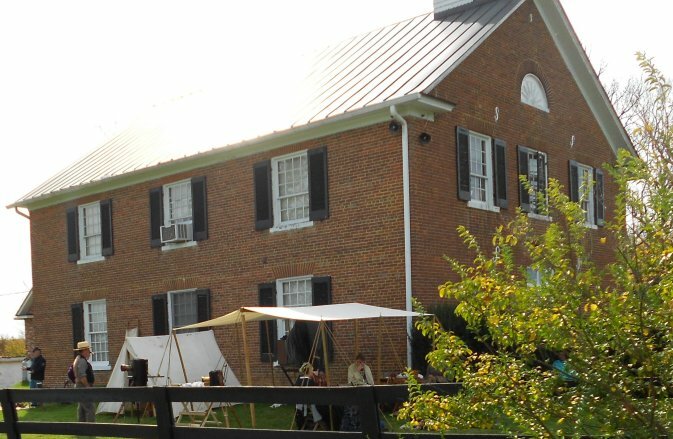 The gentleman was originally from Fauquier County but made his name in Loudoun, which southern half is today called the “John Mosby Heritage Area”. 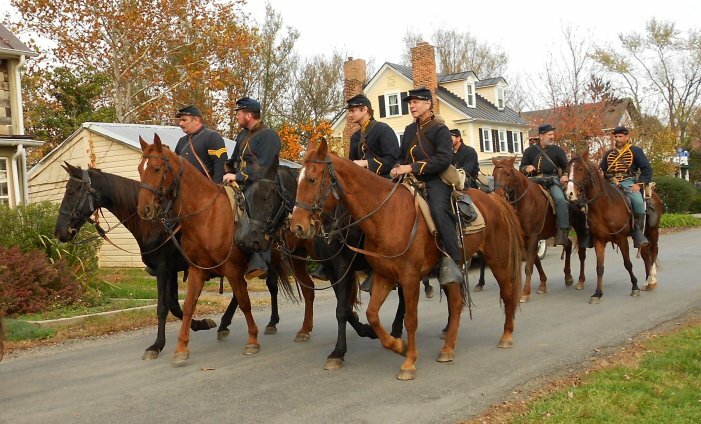 Yes, John Singleton Mosby was the aide who was first introduced to his place in history by the small Battle of Unison. Small, yes, but the ripples from it went far and wide. 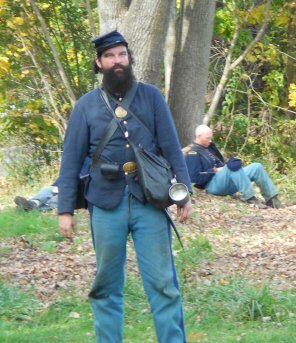 Discussions of the Civil War and it's cause(s) tends to bring out the surliness in even the most moderate of us. But let's try and discuss the topics in a calm and respectful fashion. No flaming, burning, or blasting.